Chief Medical Officer (CMO), Dr George Mitchell gave the directive in the wake of an outbreak of dengue fever in the region including Jamaica, where the disease has already claimed lives. 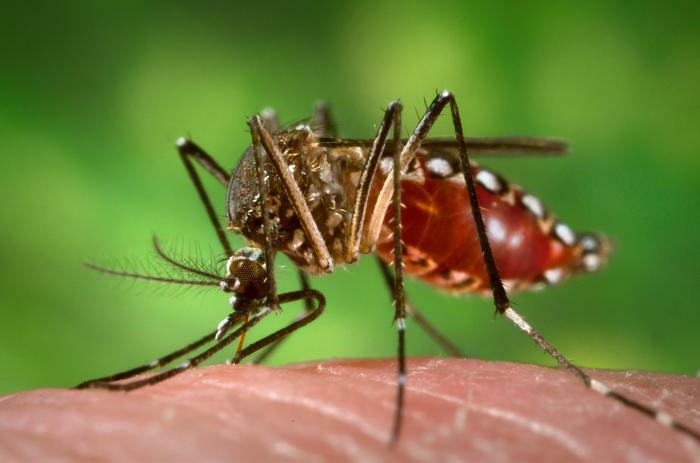 Mitchell told health promotions and vector control managers that given the regional situation and the fact that there is likely to be an increase in the mosquito population around this time of year, the ministry is not taking any chances and will not sit complacently. “We are all keeping a close eye on the development of the dengue fever situation in the region, (Jamaica) and so in order to prevent and control this upsurge in a timely manner, we are taking early and decisive action now,” he explained. The CMO instructed that specific and targeted intervention in areas where there is a high presence of the Aedes Aegypti mosquito be given urgent priority. Preventing dengue is as simple as preventing mosquito bites. Protect yourself from mosquito bites at all times in mosquito-infested areas. Use registered mosquito repellents when outdoors or especially at times of high mosquito activity like dawn and dusk. Consider using mosquito netting if you will be in mosquito-infested areas. Ensure windows and doors’ screens are closed to avoid allowing mosquitoes into in enclosed spaces. Avoid areas with standing water. (Search for and destroy all mosquito-breeding areas, get rid of all unwanted and non-essential water-holding containers in and around your home, trim high vegetation, check for leaks and blocked drains). Remember that personal protection and the environmental management of mosquitoes are important in preventing illness.